What Else Should I Know About the Drug or Alcohol Relapse Recovery Program? Coping mechanisms: Individuals who lack the necessary skills to handle cravings as they arise are more likely to use again. Affect/Emotion: The abuse of drugs and alcohol is often an attempt by an addict to regulate emotion (or “affect”) or to self-medicate. Feelings of guilt, shame, loneliness and other negative stressors increase the likelihood of a relapse. Opportunity: The availability of the substance of abuse is a large factor determining the possibility for a relapse. Obviously, the harder it is for a substance abuser to find the desired substance, the more difficult it will be to use it. Attitude: The approach of a person in recovery to the occasional lapse will play a major role in whether or not what could be a minor slip turns into a general reversal of the treatment process. An individual who views a temporary lapse with feelings of guilt and total failure is far more likely to spin a single mistake into a full relapse, while a recovering addict who approaches slips as learning experiences and modifies future high-risk behavior accordingly is far less likely to relapse frequently. If you have been through recovery and find yourself in a situation where you have or might relapse, you aren’t alone. Many people in recovery have been exactly where you are right now, and there are trained professionals who are eager to help you get through this. Please call at any time of the day, seven days a week, to talk to a sympathetic someone when you need it the most. When you make a call, you’ll be connected with the resources in your area that are available to get you through relapse and back on track to a lifetime of sobriety. A relapse consists of a return to using a previously abused substance or a turn back to behaviors — such as gambling, compulsive shopping or sexual compulsion — which had previously been brought under control. As stated above, rehabilitation programs have traditionally approached the problem of relapse as a very likely, if not inevitable, complication in the recovery process. While this may be disheartening to contemplate, it is good to know that treatment professionals understand the difficulty of overcoming addiction and thus plan treatment accordingly. The feelings that lead an individual to relapse are, for the most part, the same feelings that fueled the abuse in the first place. Anxiety, depression and guilt, along with a host of other negative feelings, greatly increase the addict’s perceived need for the substance of abuse. These emotions can be difficult to predict, so are the cravings they drive. An addicted individual’s efforts to self-medicate these negative emotional states usually take the form of a relapse, even if it is only temporary. There certainly are other factors driving use, but the desire to regulate emotion and achieve some measure of emotional stability is among the most important. Managing the opportunity to relapse is the easiest and most difficult part of the recovery process. During the initial, or acute, stage of treatment, managing opportunity is almost deceptively easy. Every recovery and rehabilitation center has rules to isolate residents from temptation, and more than a few rehabilitation programs are carried out at a considerably geographically remote place where the opportunity to use might less likely arise. Controlling an addict’s environment becomes far more difficult, however, in the post-acute, or sober living phase of recovery. Recovering addicts in this stage have considerably more autonomy than they had during the inpatient stage and will consequently be far more likely to be exposed to a corner drug dealer or to a liquor store full of bottles. Managing the temptation of these opportunities for relapse is the major challenge for behavioral modification programs undertaken during the treatment and sober living stages. Every addict is different, so every treatment plan must be customized to meet the individual needs and unique challenges of the person in recovery. Coping mechanisms, such as those developed during the initial phase of treatment, will have to be developed through trial and error. What worked for one addict yesterday may be a terrible solution for a different user tomorrow. This is where the idea of sponsorship comes in. Overwhelmingly, addicts resist the temptation to relapse far better with unrestricted access to another sober addict in recovery. For some, a friendly voice on the phone can mean the difference between a momentary difficulty that can be overcome and a slip that’s destined to cause no end of trouble for the user. Having a sponsor gives someone hope, and something as simple as swapping addiction and relapse stories with a fellow addict who has been there and knows that mistakes are inevitable can make a world of difference to the all-important attitude of the patient. The kind of attitude the addict brings to recovery, as well as the slips and temptations that bedevil the process, can be the single most important factor in determining whether or not the addict will be shaking off an unfortunate lapse or spiraling out into a full-blown relapse, perhaps to restart the recovery cycle altogether. 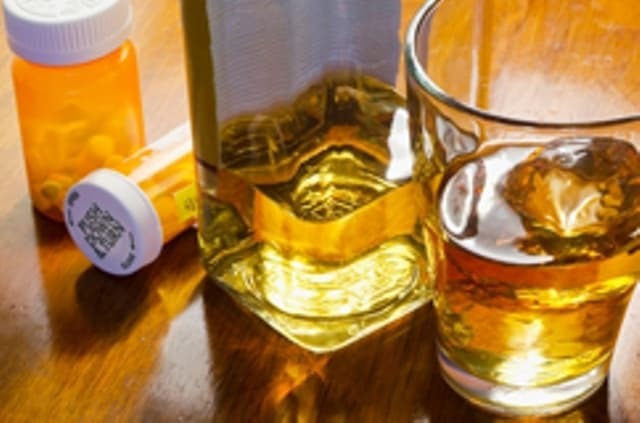 Studies have shown that, while a single drink or use of an addictive drug might prove impossible to avoid entirely, an addict who allows the temporary lapse in judgment to overwhelm with grief and depression will be far more likely to continue use, regardless of mounting consequences. The same studies have shown that people in recovery who approach their slips as learning opportunities and as chances to adjust their long-term recovery and sobriety strategies are far more likely to return to the coping strategies learned in rehab and to living sober. Recovery is a hard road to walk, and obstacles litter the path. Slips happen to just about everyone, and you must not allow them to destroy the months or years of patient effort you’ve put into building up a life of sobriety. If you have used and relapsed or if you might relapse, the worst thing you could do is nothing. Please call as soon as you can to be connected to the kind of help that’s going to keep you from returning to a lifetime of suffering and substance abuse. You got sober once for a reason; try to remember those reasons and make the call today. Helping addicts recover from substance abuse problems is one of the most complicated health issues faced by professionals. While a lot of research has been conducted over the years into what exactly are the factors influencing relapses, no surefire way has ever been discovered that will totally- or even partially, unfortunately- reduce the risk factors interfering with the addict’s unbroken sobriety. Preventing drug or alcohol relapse for you and your loved ones is a lifelong commitment. With the right strategies and, most importantly, the right attitude toward lapses, a lifetime of sobriety is possible.